I don’t know about you but the idea of hunger—and food—looms extremely large in my mind. Often times I have conflicts with my husband, who does not seem to be bothered by not eating for a long stretch of time. Besides the fact that physically we are so different—he having Type A blood and I being a Type O, which means that I have much more stomach acid than him and that I am naturally hungry a lot more frequently than him—our upbringings also play a very important role in our differences. Growing up in the Chinese culture and after an era when Chinese people suffered from a massive scale of famine, I have inherited an unfortunate collective memory in my subconscious mind. My parents’ generation experienced the “Great Famine” in the 60s in mainland China. They had very little to eat. Food was “allocated” to each family in the form of rations. My parents would use the food stamps they got from the government and had to line up at 3 in the morning to get a piece of meat. If they were lucky to get an apple, they would eat the peel and save the fruit for me and my brother. Whenever hunger stroke, my parents would tighten up their belts—literally, to stop the hollow growls. Because food was so scarce, it had taken on a venerable position in our society, especially among those who had experienced extreme hunger, like my parents. As a result, the ritual of sharing a complete meal together with the whole family also became something holy. Dinner time must be duly respected. If, for example, you are engrossed in studying or another activity that you delay your arrival at the dinner table, you’d stand the risk of being severely scolded or ridiculed. After each dinner, a few words of appreciation and compliment to the cook—usually the mother—would be expected. Such is the scenario that played out at my home throughout my childhood. Food is often used as a reward for children in my culture—and it could also be used as a form of punishment in the act of withholding. One often hears the chiding of mothers in a threatening tone: “If you are naughty, you will not get rice!” Rice in this case actually means meal. So kids in my generation were often threatened to go hungry as a result of not obeying the parents. I don’t know if this kind of language is still used in today’s Chinese society, as I am not in touch with the parenting world, being childless myself. But I can imagine this threat does not go along with today’s affluent society anymore. Anyway, what I’m trying to analyze, is how this threat has been etched in our psyche… so much so that the fear of hunger has become something larger than life! Irrational as it may be, my subconscious mind still holds on to this false belief that if I skip a meal or two I’d be very sick and even die. In the Chinese vocabulary, we have this phrase, “hungry to death” (餓死了), which is an exaggerated way of describing the feeling of extreme hunger. Perhaps this kind of expression shapes the way we think as well. I guess this is a long-winded explanation of why I turn into a beast when I am confronted with hunger. It’s something really difficult for my husband to relate, as he grew up in affluent Europe and has never inherited this kind of cultural and collectivist burden associated with hunger and famine. Well, his ancestors in Sweden also experienced famine, but the latest one happened in the mid-19th century, so the memory of famine is not in his genes. By contrast, I have inherited the stress chemicals flowing in my grandmother and mother’s blood—my grandmother having experienced the Japanese occupation and my mother, the Great Famine. Did you know that environmental stress affects unborn babies and goes down through as many as four generations? So, isn’t it not that strange that there is a fear of hunger running through my veins? Having analyzed this now, I am ready to work on my subconscious mind and erase those genetic memory. Exactly how, I don’t know. But I am confident that I’ll find a creative solution one day. Does lying in one’s own garbage seem shocking to you? 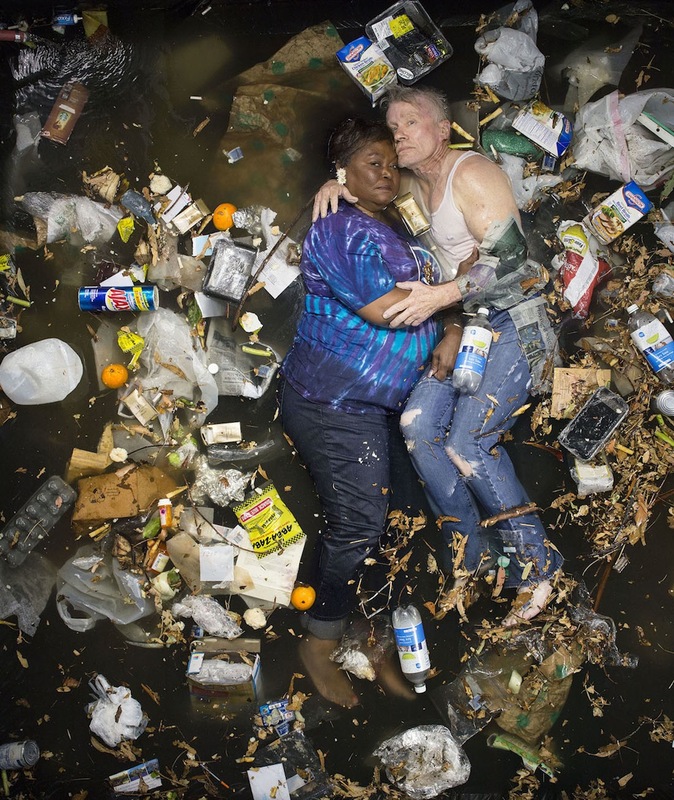 At first glance, these images from the ongoing series of photographic project, “7 Days of Garbage” by Gregg Segal, seem really gross. But after staring at them for a few seconds, it dawns on me how close to reality these scenarios are. 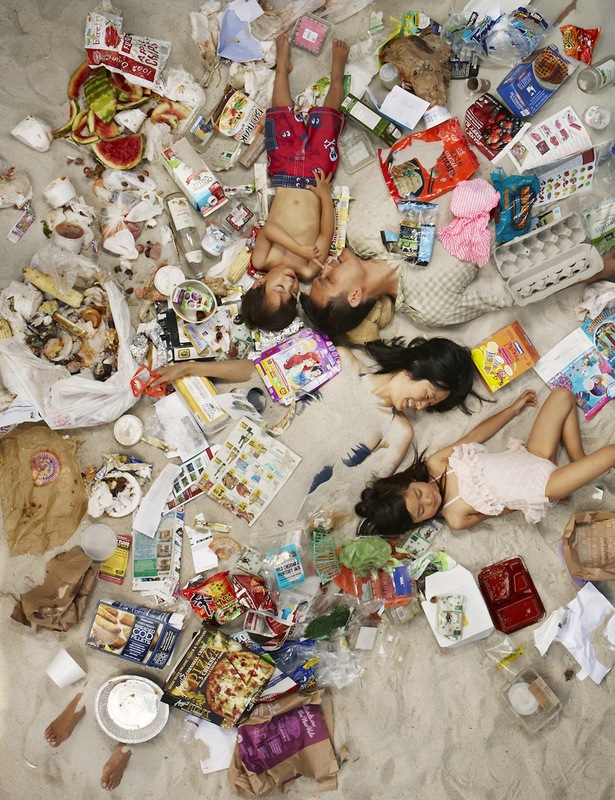 While the photos show Californians lying amid a week’s worth of their own garbage, I can easily imagine worse scenarios if the photos were taken in Hong Kong! When it comes to environmental protection, Hong Kong would probably score very low on the international scale. While there is a tiny scale of recycling effort, most people do not make recycling a habit. There is close to zero recycling for glass bottles, except for a small non-profit social enterprise that collects bottles and other recyclable trash from a few selected locations and charge a fee for its service. The fee generally puts the “common people” off from wanting to recycle. Basically, the government doesn’t give a damn about recycling, has no political will to push for the development of a comprehensive recycling industry, and is clueless about what to do next about the ever-rising pile of garbage in our backyards. There are several large dumping grounds for trash in our small city but those are nearing full capacity. We have hundreds of high-risers built atop land that was “reclaimed”, meaning, land that was originally ocean but built from scratch using garbage. The government is looking to build incinerators but what terrible pollution would that bring to our already polluted air? A poetic image? What is a sofa chair doing on the beach? Refrigerator and Liquid Gas Petroleum can on the beach! Nowhere have I seen furniture and big pieces of electrical appliances thrown in Nature as in Hong Kong. The reason why people do that is because one has to pay a fee (roughly US$60) to throw away a piece of furniture in the landfill. To save money, people (usually movers who help people get rid of old furniture) would just drive to a remote area in the New Territories and dump the furniture in Nature. These movers have absolutely no regard for Nature. In some areas of Hong Kong, the water currents would bring in trash from Mainland China. How do I know? Well, just look at the packages… the words are written in simplified Chinese, which is not used on Hong Kong. I have a lot more photos of such trash but I think I’m grossing myself out at this point. A country that contrasts greatly from Hong Kong is Sweden, where I lived for five years and observed how the citizens were conscientious about recycling everything possible and doing compost in the countryside. There is a bit of economic incentive for people to recycle plastic bottles and aluminium cans—at supermarkets there are machines that take these and give you a coupon that can be redeemed for cash. But most people would recycle whenever they can—with or without cash rewards—and would walk the extra mile to dump their pre-sorted trash into the proper containers. Overall, the Swedish people keep their Nature absolutely pristine. You won’t find a single piece of trash when you go hiking or swimming. Other European countries are also equally good at environmental protection, such as Switzerland. You can clearly see how their citizens are properly educated to respect Nature and treat it as an important asset and treasure in their lives. Not only that, there is a general sense of reverence for what is considered sacred. In Hong Kong, I have observed the disrespect people have for Nature—mostly out of ignorance; and also the way they treat Nature as a big kitchen cabinet from which they get resources (like fish and seafood). Perhaps they need to have a look at pictures like the one below to be reminded what keeping Nature clean would mean. But I’m afraid that we would need another campaign like the “Lap Sap Chung Campaign” launched by the former colonial governor, Sir Murray MacLehose in the 70’s (which I witnessed growing up in the city), to raise awareness among citizens and encourage them to put trash where they belong. 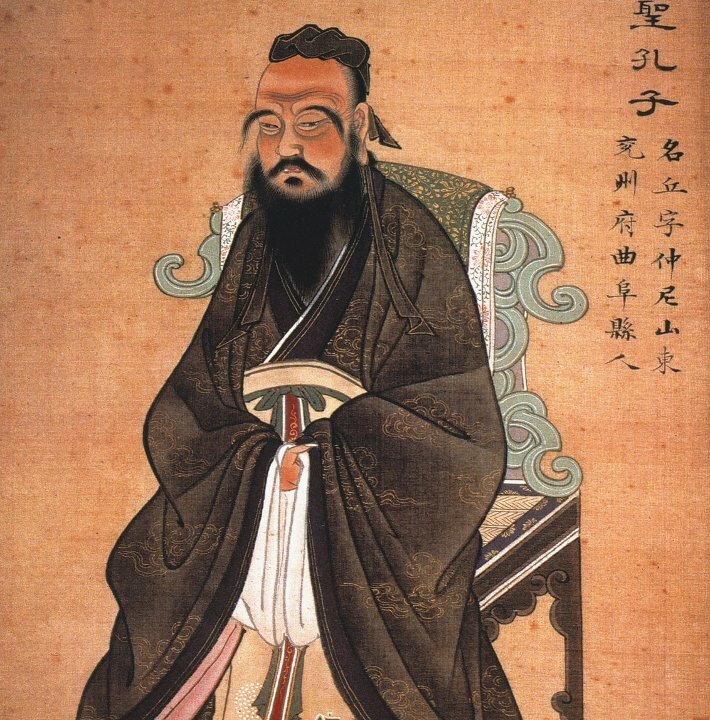 Confucianism Stresses Obligations… But Where Does that Leave ‘Me’? I had an interesting chat with a professor yesterday at the university where I work. He has published a paper that looks into the true meaning of the word “guanxi” in Chinese society. “Guanxi” literally means interpersonal relationship. But instead of the Western interpretation of networking and friendship, the professor explained that the Chinese concept is based on a very ancient set of rules that guide human relationships. Confucius often leaves me feeling confused. Although this kind of “guanxi,” which stresses obligations, is restricted to an inner circle—a “circle of trust,” it can be transferred to someone who is not related by blood. So the good friends of your parents would become “aunties” and “uncles” automatically and they would have the obligation to look out for your interests whereas you would also have the obligation to respect and treat them “properly.” These obligations go without saying. They are unspoken rules in Chinese society. As I grew up in the traditional Chinese culture, I know these obligations instinctively. According to the professor, it is very useful to have these rules as they make interpersonal relationships more stable and predictable. However, moral dilemmas would occur when a person holds obligations to two conflicting parties. For example, if I were the human resources manager of a company and a friend’s son applied for a job at the company, should I favor his application even if he is not as qualified as the others? This scenario illustrates a conflict of interest in modern terms, or a moral dilemma in philosophical terms. Who should I be loyal to? It is a tough call as the traditional Chinese value is clashing with the modern business organization. In ancient times, there were no companies in the modern sense. The only authoritative organization that existed was the government. It was very clear to whom an official’s loyalty belonged. A very good example is the story of Da Yu （大禹）, who lived 4,000 years ago. He passed by his mother’s doors three times without visiting her as he was obliged to tackle an urgent flooding problem. In this case, the good of the society obviously took precedent over private interests. The story of Kong Rong picking the smallest pear puts the “self” into the trash bin. While such behavior would still be considered ideal and moral nowadays, we lack stories that tell us the “self” is important too. In fact, when I review all the moral stories I was taught in school, the “I” was always relegated to the back of the queue. 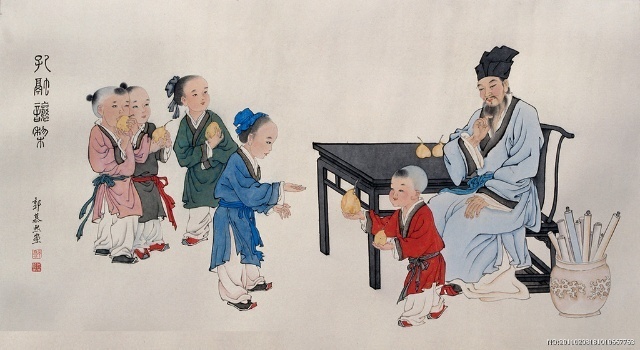 One story that really stands out and had governed how I behaved throughout my life until recently was the story of Kong Rong （孔融）, who was the 20th generation grandson of Confucian (around 200 A.D.). When he was 4 years old, he and his brothers were offered a basket of pears by some guests. He happily let his older brothers and youngest brother pick the largest pears while he took the smallest one. Words spread quickly about this young child’s politeness and was touted as an ideal moral behavior for all tp emulate. Personally, I believe the self-denigrating tendency or requirement in the Chinese culture as a result of Confucian teaching is responsible for a great deal of misery in people’s lives. Yes, on the surface, the society may very well be operating in an “orderly” manner. However, where does this leave “me”? I have suffered so much and even gone through major periods of depression because the “me” was not given a proper place. Yet its voice was not unheard. It was dying to cry out while social obligations kept on suppressing it. As a result, my life was steeped in a sea of guilt, angst and frustration. Only when I realized that the “self” deserves the top priority in my life that I have been able to leave this negative loop. This doesn’t mean I am selfish. But whatever I do for others, I would choose to do so out of sincerity—it would be something I like or love to do, out of the heart. This makes sure that the “self” is first satisfied and whatever action that is taken afterwards, there would be no grudge involved. Likewise, if no action is taken because the “self” sincerely does not want it, there would be no guilty feelings either. This is so important for the health of our soul. Who in society or in authority would care? They would rather that you follow what they dictate! I know I am not alone in feeling trapped behind the bars of tradition. Millions or even billions of Chinese are still going through what I have gone through. And not just Chinese people. Confucianism is not the only philosophy that puts people into a guilt trip in the name of obligations and loyalty. Calvinism, puritanism and many other philosophies and religions around the world also have managed to do that. It’s time to transcend the social strictures that no longer serve us and stun our spiritual growth. Have you heard that inner voice crying to be let loose yet?